Obituary for Elaine L. Tight | Williams-Pedersen Funeral Home, Inc.
Elaine Louise (Williams) Tight, 80, a longtime resident of Upton, passed away peacefully on Thursday, August 2, 2018, at home surrounded by her family after a yearlong battle with bile duct cancer. She was the beloved wife of 40 years to the late Richard F. Tight who died in 2000. Born in Boston, she was a daughter of the late Ernest and Violet Rose (Davis) Williams. Elaine was raised in Avon and was a graduate of the Avon High School Class of 1956. Elaine moved to Upton in 1960, where she and Richard raised their family. She is survived by her children, including three sons, Richard Tight of Boston, Garrett Tight and his wife Sharon, of Medway, David Tight and his wife Tonya, of Garner, NC, and a daughter, Brandy Capistran and her husband Joseph, of Upton; her grandchildren, Aaron Tight, Jessica Tight, Zachary Ward, his companion Caitlin Dunham, Carlie Capistran, Alex, Hannah, Lindsey, Olivia and Nathan Tight; and five great-grandchildren. Mrs. Tight is also survived by her brother, Robert Williams and his wife Beverly, of W. Bridgewater; her nieces and nephews, Jean Roberge and her husband, Mark, Robert Benson and his companion, Judith Freeman, Robert Williams and his wife Tricia, Rhonda Williams and her companion Ronald Champagne, Lisa Davis and her husband Ken, and Lori Graney and her husband Matt. She is predeceased by her sister Ina Benson and her brother-in-law Stanley Benson. Elaine worked at various places before retiring from the Upton Nursing Center. She was an avid traveler, often spending summers at Horseneck Beach in Westport as well as other seaside areas. Mrs. Tight would often travel with her family to Florida and other destinations in their motor homes. Always quick with her wit, she enjoyed playing cards with her family and spending time with them. She would never pass up good seafood, loved her sunglasses and loved a good thunderstorm. 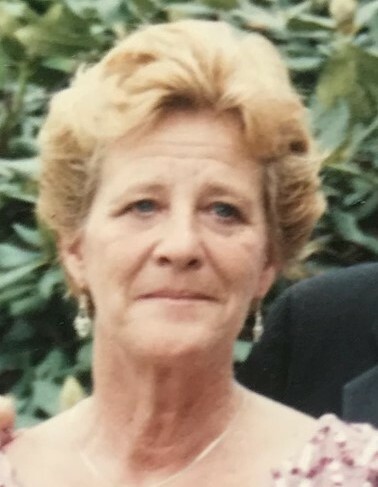 Elaine enjoyed reading, watching classic movies, cherished the time she spent with her family and was extremely proud of her children and grandchildren. She will be deeply missed. Her family wishes to thank those that helped care for Elaine, including the Dana Farber Cancer Institute, Reliant Medical Group, Salmon VNA & Hospice, and Upton Fire-EMS. A funeral service will be held at 11 AM on Wednesday, August 8, in the Williams-Pedersen Funeral Home, Inc. 45 Main St. Upton. Burial will be held privately on a later date. Calling hours will be held from 5 to 8 PM on Tuesday, August 7, in the funeral home. In lieu of flowers, donations in her memory may be made payable to the Upton Fire & EMS Association, P.O. Box 580, Upton, MA 01568.